Ah, that good old question, how to attract ideal clients to write for? If you have, then there’s hope for you. If you haven’t, then you really need help in more ways than one. Unfortunately, when it comes to freelance writers, not every one is what I would call on a success mindset yet. But my goal with this post, it to help you with that. Why do I feel that I can help you? I’m going to be writing from Europe for a while, and there is no doubt in my mind that the change of scenery, and the different life that I will be leading, will inspire my writing, but it’ how I got there in the first place, that’s inspire me to write this post. My life has started shifting tremendously last year, but it’s only now that’s it’s reaching a momentum. It’s translating in more freedom, travels and opportunities for me, like I haven’t had in years. I’m meeting the nicest people across the pond, as I’m receiving more and more writing opportunities both at the same time. But don’t be mistaken, none of this is coming about by accident, though (there’s really no such thing). It’s coming about because I’ve raised the bar of my vibrations, and my point of attraction. But it all started because I prepared the field so to speak, I set myself up for success, and that’s what I teach to others. But what does all this have to do with attracting your ideal client to write for, you may ask? I don’t know about you, but as for me, as a freelance writer I don’t want to write for just anyone, or just anything. I want to write for the ideal clients for me and for them. It’s a whole lot like those house sittings that I’m going to be doing in Europe. So far I’ve noticed that it only works out when there is a perfect balance/match between the homeowners and me. Another interesting thing is that it usually happens very quickly or it doesn’t happen at all. Yesterday, I was speaking with a lady in the south west of France and she was telling me how she liked me at me first message, and how she eliminated others right from the get go as well. Why do you think those things happen? Later in the day I was also speaking to another lady in Scotland and she was telling me that she couldn’t wait to meet me. That was our second Skype conversation, and that one was just a chat to ties things up before we meet in person in a week and half. We were both giddy when she said, well the next time I’ll see you will be at the airport. How exciting this is! I’m still new at this, but dang, I feel that I’m going to get so addicted to it. Are you kidding me? Meeting new people, living with animals free of charge, traveling and seeing some of the most beautiful places in the process? Yes, I definitely have the feeling that I may end up doing this for a while… but I digress. In order for me to do this, I need to find my ideal clients to write for as a freelance writer, and coach as a life coach, just like I’m finding the ideal houses to sit as a traveler. But that’s a completely different thing, right? This is a vast universe and your ideal anything is out there. The hardest part for many of you is to believe it, but once you do, it tends to show up. Attracting (finding) the ideal clients to write for requires an inside job as well as an outside job. As a freelance writer, when you find your ideal client, it also means that they (the client) have found the ideal person to work for them, so both of you will be happy with the result. There are many writers who write anything for anyone out of fear that they could never find their ideal client, or worse even, believing that such client doesn’t even exist. Or yet again, a word that resonate a lot in their head is “competition” thus they attract lots of it, and they struggle with it, of course. I’ve had discussions on LinkedIn with very talented and skilled writers who are struggling with their freelance writing business because of the above reasons. So why is it that regardless of their talent level, the country they live in, or even the fact that English is not their native language, other freelance writers I know of, have so much work that they are actually refusing clients? Well, there are 3 main points that separate those two types of freelance writers. Successful freelance writers work on their mindset first, while the others don’t. Successful freelance writers have a very specific idea about what they’re worth, while the others don’t. Successful freelance writers know exactly what type of clients they want to write for, while the others don’t. So, let dissect each of those points a little, and see if it could help you find your ideal clients too. As a freelance writer, you are an entrepreneur, and as an entrepreneur it’s absolutely vital that you work on your mindset, first and foremost. It’s bad enough that most employees in this world have never even read as much as a single personal development book, but it is worse when you are working for yourself and have no more success recipes than people working for a boss do. You can’t approach your freelance writing business (or any business) with an employee-type mentality, because if you do, you’ll get the same type results most employees do. When I read some of the freelance writers’ comments on Linkedin, I certainly can see why those people struggle to make ends meet, and I’m not talking about bad writers who write for content mills here. I’m talking about freelance writers who are very good at what they do, and who have done it for years. The only missing link in their case is that they have no clue about getting their mindset right. The mindset of a victor. If this is you, you really need to start taking a good look at your mindset and see what’s it’s doing to you and your business in all honesty. I can promise you that if you don’t decide what you’re worth from the get go, you are going to accept all kind of low paying writing gigs that will turn out to be not worth it at all. You are going to work hard for little money, like many employees out there. On the other hand, if you decide what you’re worth, you may still have to work hard at times, but it will be worth the money you will be making. Here are some tips to help you decide how much you’re worth. a) Give yourself a range of rate per word and decide that you will never go under the lower end of your rate, no matter what. b) Do not publish that rate on your site, and do not quote people by word. Give them a final price, not a per word price. c) Give yourself the right to say NO, even if it’s tempting to say yes. Not all writing job offers are worth taking. Once you’ve mentally decided what your worth with the help of those 3 vital points will be much easier. I have to admit that this is something I wasn’t used to do before, but I’ve learned it from my business coach. Now what’s a marketing avatar? Simply said, it’s your ideas clients. What type of hobby they have, etc. This is the minimum attributes you should give each of your avatars, but you can add as many more as you want. 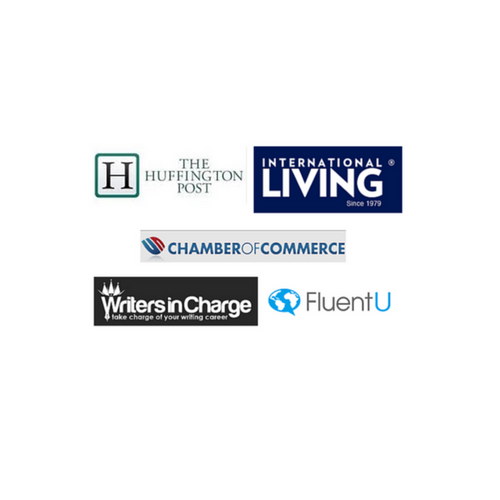 Why is it so important to create marketing avatars for your freelance writing business? Because it’s going to gird your marketing campaign in a way that will speak to this type of potential clients specifically. This is a big part of the outer work that you need to do to attract the type of clients that you are looking for. If you haven’t been able to attract your ideal clients yet, chances are that you haven’t gone through the 3 vital points that I’m talking about here. Of course there are many other things you can do to get great clients, but those other things are more of the outside action types. My experience showed that the outside actions only work very poorly if at all without setting the inner actions up first. I can write in such a way, that your potential customers will fall in love with your product! Thank you to Corina Ramos from Not Now Mom’s Busy for having me as the interviewee of the month. Thank you to Tor Refsland from Time Management Chief for including me among 80 productivity experts. this was a great list of reasons why many freelance writers aren’t attracting their ideal clients. Although I’m not a freelance writer, These tips can be allied to all entrepreneurs. You definitely want to have, or at least develop a success mentality. You create an internal magnet that will attract the right jobs and clients towards you. You have to figure how to adjust your mindset to the point of attracting what you really want. You have to remember whatever you think and make a habit of will manifest itself through your actions whether it be through writing or speaking. I really like the concept of creating an avatar. 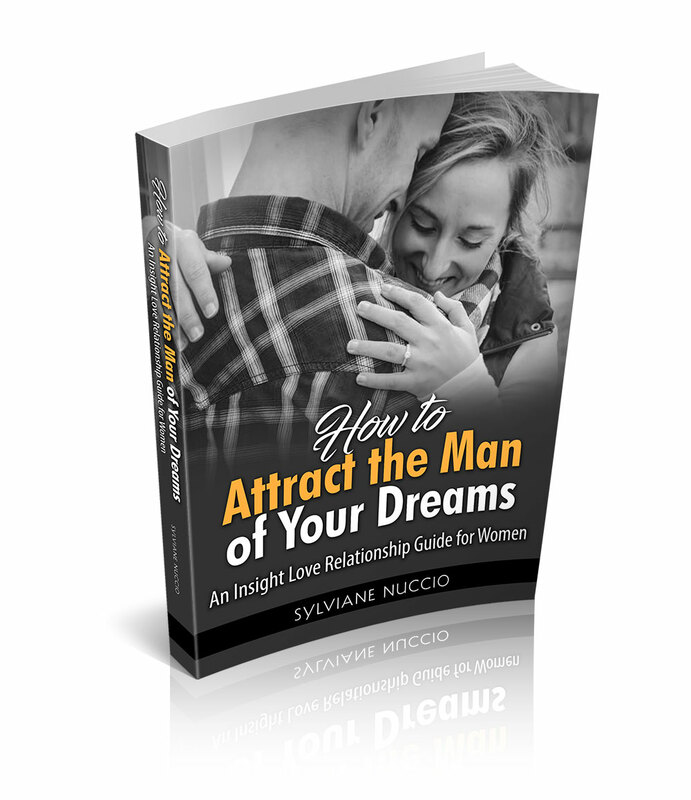 This gives you the guidelines of adjusting your mind so that you can attract who you want. It’s easier said than done but it’ll all be worth it once you figure it out. It may be a generic avatar at first but like the old saying goes you have to crawl before you can walk. Thanks for sharing Sylviane! I hope you have a great rest of the week! What ever we do is attract, so if we don’t make sure our mindset is right we will keep attracting stuff by default and we don’t want that. In other words, the more we let our thoughts wonder wherever, the more we’ll be attracting whatever. That’s pretty easy to understand, don’t you think? Yes, we can refine our avatar as we go of course, the more specific the better. Thanks for coming by and for sharing, Sherman. I can’t believe that you will be traveling so soon. Feels like yesterday when you changed your mindset…and look at all you have accomplished. Although I’m not a freelance writer, this concept appeals to just about anyone who has an online business. Yes, It does all start in the mindset. And you know that I’m a believer in the Law of Attraction. Everything starts there, and the we set up a plan to take action upon what we want to do. It is especially important to know who we want to work with. Ahh…the Avatar! I have done mine last year and she still sits on my desk top. It wasn’t anything I just threw together, but rather a very specific long list of qualities which is attached to her. The avatar works great because we put so much into it and fine tune it so much so that we know exactly who to speak to. Bravo my friend! Talk Soon. Well, believe it or not I’ve started working with my mindset 9 years ago, but along the way I was still paying for my past attractions and let life get in the way. But this past year, 3 life changing things happened almost instantaneously, and that was it for me. Everything changed for me almost one day to the next. Yes, I know you’ve got that avatar. It’s super important to have at least one. In my case I have several and they really help me. As always, you’ve written such a motivating post. I know you’ve written this for freelance writers to get clients but this can be for any aspect of our lives. Creating our ideal candidate is a wonderful idea. It will surely keep us focused on the type of client we want to work with. It looks like you have some great travels and I can definitely see you being inspired visiting all those beautiful countries. Congratulations! 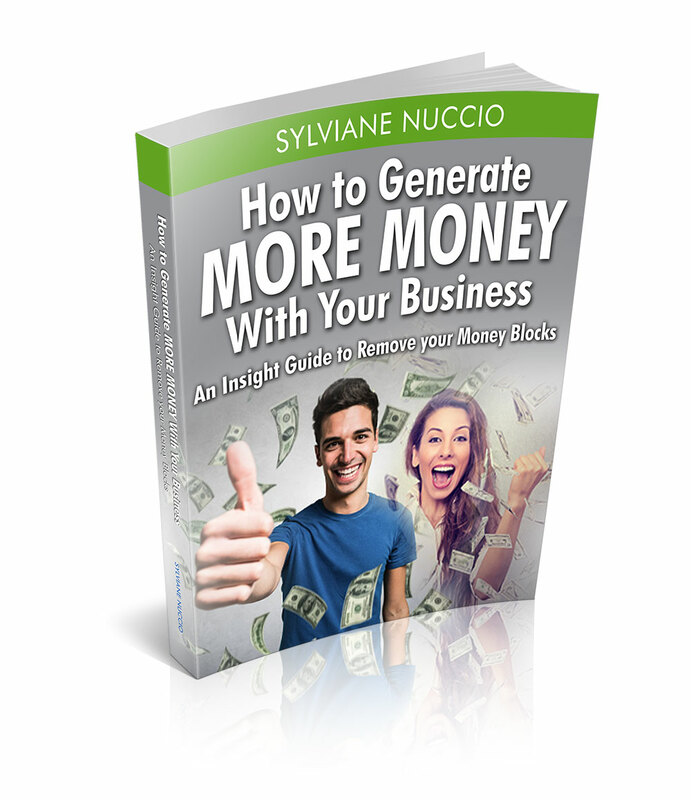 Have a great week Sylviane and thank you again for this wonderful post. I think that it’s fair to say that most humans on the planet are, have or have had suffered with self-worth, because we come from a place where self-worth wasn’t taught at all. Actually the contrary used to happen more, unworthiness has been taught a lot. I know in my case, even though I was fortunate to value myself at home, I learned unworthiness other places, such as school and then church. So, it’s out there no doubt. I am glad that you are conscious of this, though, and keep working on it. Yes, it was my pleasure to reply to the comments you’ve got there. Thank you for the invitation. Coming to the post, you are so right about all that you mentioned and I can relate being another freelance writer! Knowing who to write for and what your rates ought to be takes time to set for some writers, but once they are set, they are good to go. This makes them succeed and even their clients know about them, their rates, kind of work etc. Many come back to you, even if your rates are high because of the quality you provide, which speaks for itself. Yes, those things may take some time as we can try and adjust them over time. For example, before I used to have my fees on my hire page and then I took them off. It’s always good to adjust things as times goes on. Thanks for mentioning your participation at my big roundup post: 80 Productivity Tips From Incredibly Busy Experts. You’re welcome. I was glad to mention the honor you gave me. I’m glad you liked it and welcome to my blog. I love your post. You inspire and educate us on your blog about on why you’re not attracting your ideal clients as a freelance writer. You can really help a lot. Great blogs! . You are certainly right and you really listed some true facts about why freelance writers don’t get their ideal client. It all begins with the mindset. I have been thinking about this recently. I know you have been talking about mindset plus the Law of attraction. If one does not believe in his skills and worth, then he will always be struggling. Love your points. It is great to travel and I do know that you will have fun. Thanks for sharing. This a must read . Sorry for the late, late reply here. I haven’t forgotten about you, but been so very busy. Of course the mindset is everything. The mindset is way more important than many people believe it to be, and that’s why many people have limited success. To be a successful freelance writer, it is very essential to know one’s own worth. It helps a lot if you know what you can do and what you can’t, what do you want to write and what kind of client you want to deal with. If you are certain for yourself that you are into the right track, you can easily and successful write great and very appealing articles. Anyway, thanks Sylviane for this very interesting and informative article. It’s always been a pleasure visiting your blog. Its pretty cool to be reminded that we must, as a matter of fact, know our worth as freelance writers. Nothing could be truer than this. Attracting the ideal clients requires proactive steps. Of course, the details shared here have revealed three vital points on what it takes to get these clients. You tell everything for not getting job in freelancing. Self marketing is important because if you don’t how can clients know about your self. Profile pic is also important. You must give the professional look of your face. It shows how you’re or your profession. Thank you for sharing your thoughts with us.